Composed when Napoleon’s armies were striding across Europe, Simon Mayr’s highly charged opera I Cherusci is set in ancient Germania in the time of Christ’s birth, its narrative focusing on the perils of the captured slave girl Tusnelda who has been chosen for a sacrificial ritual. The universal themes of Freedom and patriotism in this pioneering tale of familial bonds, romance, jealousy and desperate misadventure would later attract the likes of Beethoven and Verdi. 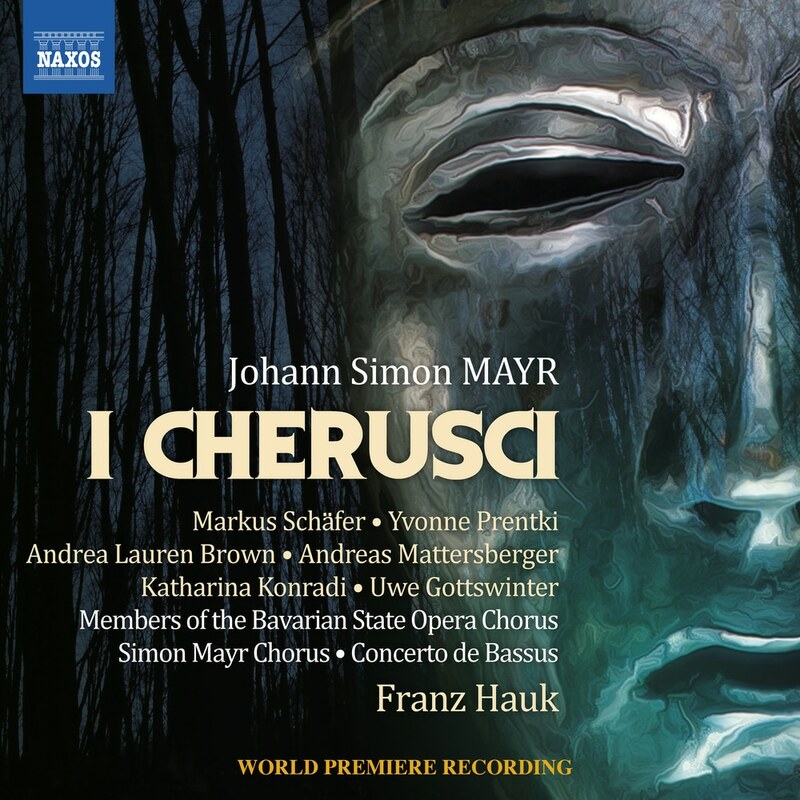 This world premiere recording of I Cherusci uses period instruments, presenting it as it would have been heard in 1808. The Simon Mayr Chorus was founded in 2003. The repertoire of the choir includes works from the 16th to the 20th century. A special emphasis is laid on authentic historical performance and on the promotion of music by Simon Mayr at the highest cultural level. Concerto de Bassus is an international ensemble engaging young musicians in historical performances of music from the 17th, 18th, and 19th centuries. Many members of the ensemble are outstanding students or graduates of the Hochschule fur Musik und Theater, with wind instruments constructed on historical principles. The ensemble takes its name from the fundamental element of Baroque music: the Bassus.